Successfully Added MINIX NEO U1 TV Box - 4K UHD, Kodi 16, Quad Core Amlogic S905 CPU, 2GB RAM, Air Mouse, Android 5.1, Dual Band Wi-Fi to your Shopping Cart. 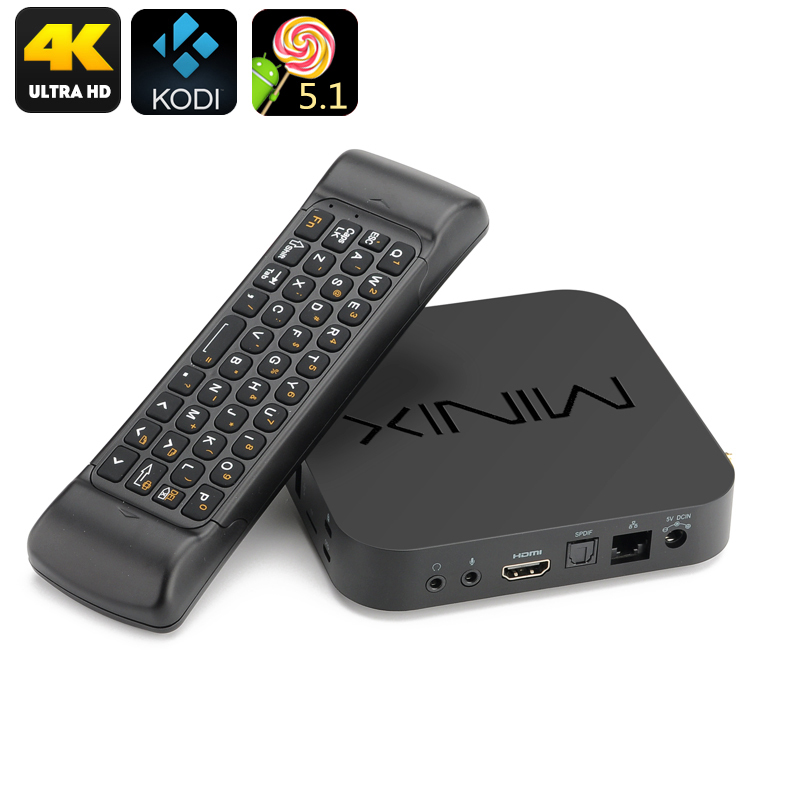 With the Amlogic S905 processor the MINIX NEO U1 is the new flagship TV box from MINIX and is set to show just how far this company has come in perfecting the ultimate home entertainment media hub. A key feature of the NEO U1 TV box is the ultra high definition video playback and real time video streaming through a Kodi 16.0 media player that comes pre-installed on this system. This offers access to hundreds of channels, with radio, TV and movies so there is always something new to watch or listen to. With the UHD resolutions this TV box is ready for the 4K revolution and supports video output in ultra high definition at up to 60hz so you can enjoy sharp imagery with superior quality movies and games that brings entertainment to life in your living room. The power house of this micro PC is its Amlogic S905 quad core CPU that's has 2 GHz speeds and runs alongside the penta core Mali 450 GPU, when combined with the 2GB of DDR3 RAM this TV box surpasses most others on the market for processing capabilities and can handle all the latest games and any other tasks you demand of it. When it comes to storage you get 16GB of high performance eMMC flash memory and the micro SD card slot allows you to add 64GB of extra storage should you require it. More than enough room for hours of entertainment. This multimedia TV box comes with an easy to use NEO A2 Air mouse. Having the latest six-axis gyroscope and accelerometer technology this air mouse brings total precision control with easy to use keys and can easily double as a game controller. With a keyboard built in to it you can type emails, update social media pages and surf the web from up to 10 meters away. The Android 5.1 OS brings loads of choice for apps and games and permits plenty of customization so you can keep everything organized just as you like. With a MINIX front end you also have a quick easy navigation menu for all your favorite options and shortcuts to the most used features. Dual Band Wi-Fi as well as Bluetooth 4.1 let you connect to internet and other devices for seamless downloading and quick transfer of data. There are also plenty of USB ports for peripherals and an SPDIF so you can hook the player up to your surround sound audio system. This MINIX NEO U1 TV box comes with a 12 months warranty, brought to you by the leader in electronic devices as well as wholesale TV boxes and Mini PCs..